Brian had one request for dinner this week: scallops. This week, I took over scallop management. 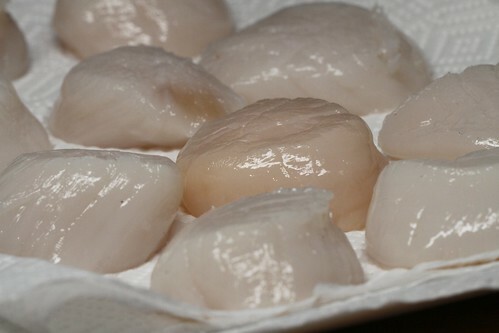 I didn’t want to do anything too complicated, because plump, dry local scallops are so fantastic that I could nearly eat them raw, and raw seafood typically makes me hork. I decided on a simple pan sear with a zingy pineapple gastrique. 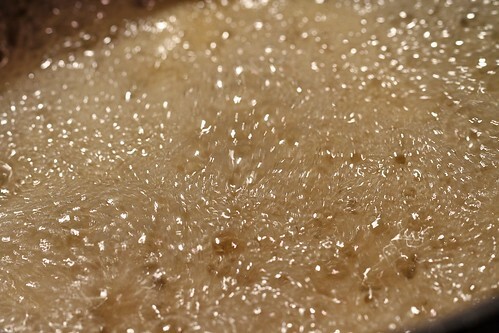 A gastrique is, at its most basic, vinegar and sugar. It also often involves fruit, in this case the pineapple. To give it a savory edge, I tossed in some sliced shallots, and for some zip threw in a serrano, ribs and seeds and all. I left the whole mess to simmer while I did battle with the Thursday New York Times crossword puzzle. Apparently, I’m quite absorbed when in crossword puzzle mode, because I burned the holy hell out of my first batch of gastrique. Of course, I’d used up all my rice wine vinegar making it, so I had to dash out to pick up another bottle before I could go on. Normally, we coop the dogs up in the downstairs hall when we’re not home, but since I’d only be out for a second I left them free. So when Brian came home a minute later, he found an absent wife, loose dogs, an acrid smelling apartment and a potful of decimated shallots on the stove. It must have looked as though I’d had a breakdown after burning dinner and fled, but really, now that I’m properly medicated, I hardly ever run away from home any more. The second batch did not suffer the same fate, mainly because I watched it like a paranoid hawk. Which meant that I stood hunched over a pot of boiling vinegar for half an hour, but my delicate nasal membranes are a small price to pay for a properly executed gastrique. 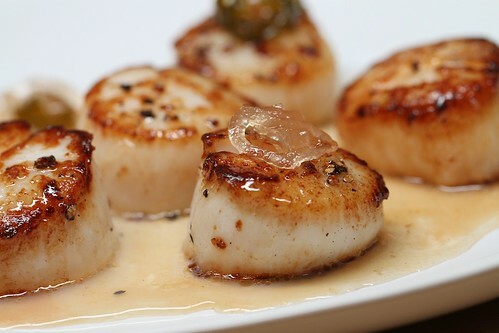 Have I mentioned the gorgeous scallops? Seriously, these things are like sea candy. Salt, pepper and a hot pan with butter is all they need. I let the gastrique cool down a little from “napalm” to merely “very hot” while the scallops finished off. I plated up the scallops with a drizzle of sauce and some of the shallots and chiles, which had candied in the gastrique. If you can avoid turning your mixture into the world’s most disgusting caramel, give this one a whirl. 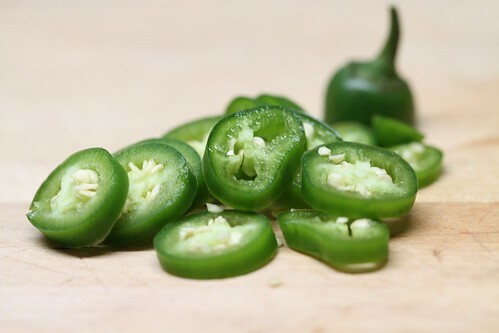 Relatively quick, easy and incredibly flavorful – it’s what’s for dinner. Chuck everything into a pot and put it over medium low heat. Simmer for 30 minutes, keeping an eye on the heat so the mixture doesn’t caramelize and/or burn, until it’s syrupy. 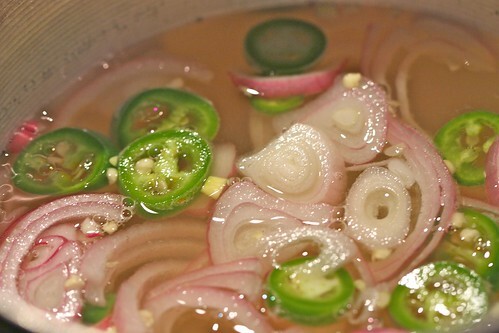 You can strain out the shallots and chiles, but why would you? This sounds incredible – what awesome flavors! YUM! Just finished eating this, and it was soooo good. On pork for the bf, and veges for me. Thought he wouldn’t like it cause he’s funny about vinegar, but he LOVED it. He is the best person to determine whether you are ann aapt candidate for undergoing the procedure. Providentially for your cat, dental disease is avertable. they couhld wofk oon making the whole experience memorable.